One of the world’s biggest pharmaceutical giants, GlaxoSmithKline (GSK), has been fined more than 37.1 pound sterling or $54 million, Britain’s Competition and Markets Authority announced. GSK and other companies were fined a total of 44.7 pound sterling or $65 million by the authority for anti-competitive conduct and agreements in relation to the supply of an anti-depressant drug, Xinhua reported. The CMA said its decision relates to conduct and agreements between 2001 and 2004 in which GSK, the supplier of branded paroxetine (an anti-depressant medicine), agreed to make payments and other value transfers totalling over $72 million to suppliers of generic versions of the drug. The CMA ruled the payments and other value transfers were aimed at delaying the potential entry of generic competitors into the British market for paroxetine. 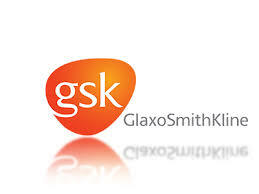 The CMA imposed fine of 37,606,275 pounds ($54,581,747) on GSK. A fine of 5,841,286 pounds ($8,478,042) was imposed on Merck KGaA (GUK’s former parent) and GUK. A fine of 1,542,860 pounds ($2,239,307) was imposed in respect of Alpharma’s infringement. Seroxat was one of GSK’s best-selling medicines and was used to treat, among other conditions, depression and anxiety disorders.